"Barring settlement w/QCOM [Qualcomm] in the next few months, field work suggests Apple is increasingly in jeopardy of being unable to ship a 5G iPhone in 2020," wrote UBS' Timothy Arcuri. Intel likely won't be ready with a single-chip, backwards-compatible 5G modem in time, he continued, asserting that alternatives like Samsung and Mediatek are either "technically or practically" outside Apple's wheelhouse. Arcuri reiterated his belief that Apple is working on a self-designed modem for 2021, and that Intel should sell its modem operation, possibly even to its current largest client, Apple. iPhones are now almost entirely based on Intel modems, the only exceptions being to skirt bans because of the ongoing legal war between Apple and Qualcomm. Apple has reportedly been restructuring its internal hardware teams, possibly with a 5G modem in mind. Senior VP of hardware technologies Johny Srouji is allegedly overseeing that modem design, but it's unknown how far along development might be. Apple has been designing other chips for about a decade, such as A-series processors and W-series wireless modules. Intel's 5G model will appear first in backbone and other commercial gear in 2019. The first consumer phones with Intel 5G modems are expected in 2020, which casts doubt on UBS claims. To be in an iPhone however, modem samples will have to arrive in time for testing, integration, and optimization, and at present it isn't clear where Intel and Apple are on that timeline. Tangentially, Arcuri said that UBS is estimating that about 470 million of the 900 million iPhones in Apple's install base are "firsthand" purchases, "and thus the proper denominator against which to estimate upgrade rate." 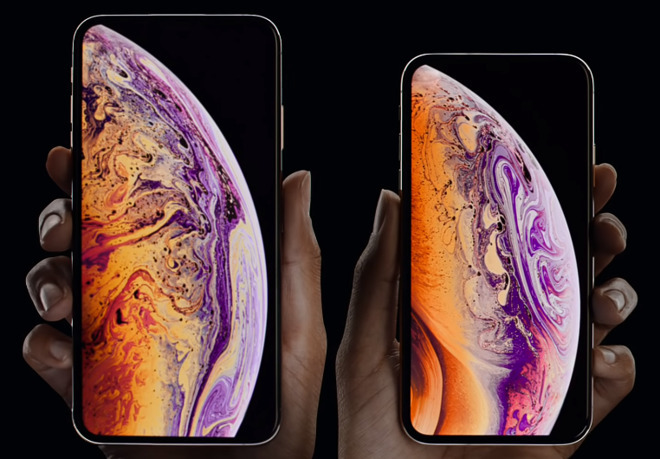 The firm calculates that of 204 million iPhones sold in 2018, 140 million were upgrades, giving Apple a rate of 3.4 years. "While it is possible/likely this continues to lengthen, AAPL remains steadfast in its estimate that actual upgrade rates are [less than] 3 yrs which suggest we are now actually below full replacement rates - a factor which should soften any potential impact from the lack of a true 5G phone in 2020," the analyst commented. He estimated that there could be as many as 185 million iPhone 5, 5s, 5c, SE, 4S, and 4 units in use, most of them secondhand, though they could be a "big opportunity over the coming years maybe catalyzed by creative lease/service offerings." Today, the "realistic pool for services engagement" is between 500 and 600 million iPhones, Arcuri said, arguing that penetration by Apple TV Channels and Apple TV+ will be "deeper and faster" than Apple Music. UBS is holding a "buy" rating for Apple stock with a $215 price target.